Kathy Reeder has been a nurse at St. Anthony Summit Medical Center for 16 years. 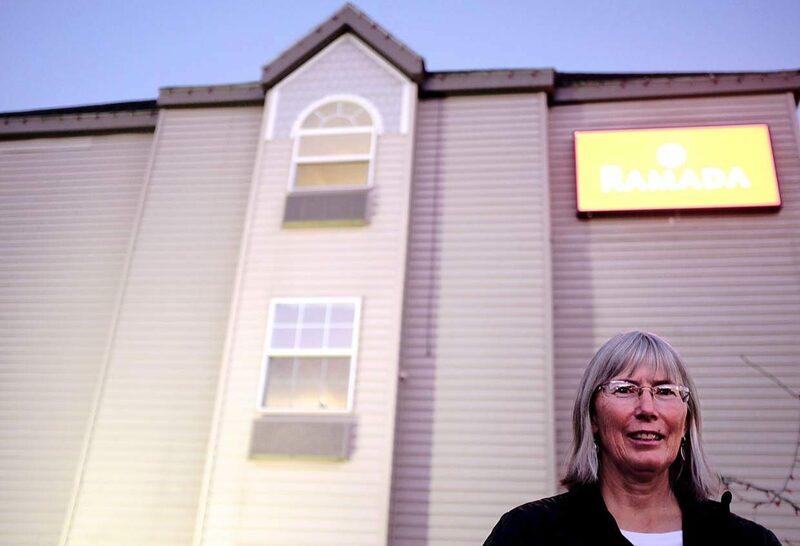 She lives in Granby, but stays at the Ramada Inn during her work week to avoid the three-hour commute. Kathy Reeder, a nurse at St. Anthony's Summit Medical Center, said working so far from her home in Granby isn't ideal but is ultimately worth the better pay and great co-workers. Editor’s note: This is the second in a 13-part series. Installments will appear each Thursday in the Summit Daily. Read the first installment on a new report on the county’s workforce housing needs. Kathy Reeder has a second home in Summit County, but it’s not a palatial condo or Breckenridge bungalow. It’s a room at the Ramada Inn in Frisco, where she stays four nights a week while working as a labor and delivery nurse at St. Anthony Summit Medical Center. Reeder has worked there for sixteen years, but she lives in Granby, about a one-and-a-half hour drive away depending on the weather. She says the roughly $55 she pays per night is much better than adding a three-hour commute to her 12-hour shifts helping deliver babies. Reeder is one of the more than 12,000 people that work in Summit County but don’t live here, compared with the fewer than 6,000 that do both, according to 2014 data from the Bureau of Labor Statistics and Census Bureau. (The data exclude some self-employed and seasonal workers). This lopsided share of people commuting into Summit is a symptom of the current housing crisis, which has seen home and rental prices climb beyond the reach of many local workers, including some of the county’s most vital professionals: emergency service workers and medical professionals. But while many of Summit’s cops, firefighters and medical professionals don’t live in the county, choosing a long commute isn’t all that unusual, and there are many reasons for doing so. Reeder’s unconventional arrangement of staying in a hotel half the week may not be ideal, but she’s been doing it for 16 years for a reason. Reeder says many of her co-workers at St. Anthony’s commute to work. One of them, Jessica Nordstrom of Fairplay, estimated about a quarter of the staff doesn’t live in Summit County. She’s worked as a patient care technician for three years and before that did a stint as a dump truck driver in Breckenridge. She’s owned a house in Fairplay for 10 years but said she couldn’t live in Summit, even if she wanted to, because of the cost. Staffing-wise, the summer months are easier for the hospital. But every winter, they scale up considerably in preparation for all the broken bones, sprains and concussions heading down from the slopes. Suzanne Lifgren, the hospital’s marketing and communications manager, estimated the hospital staff nearly doubles every winter. The shortage of affordable housing — further exacerbated by the crush of other seasonal workers — can put a strain on recruiting, but she said the hospital has been able to get by so far, thanks in part to the shared resources of its partner hospitals in the Centura Health network. 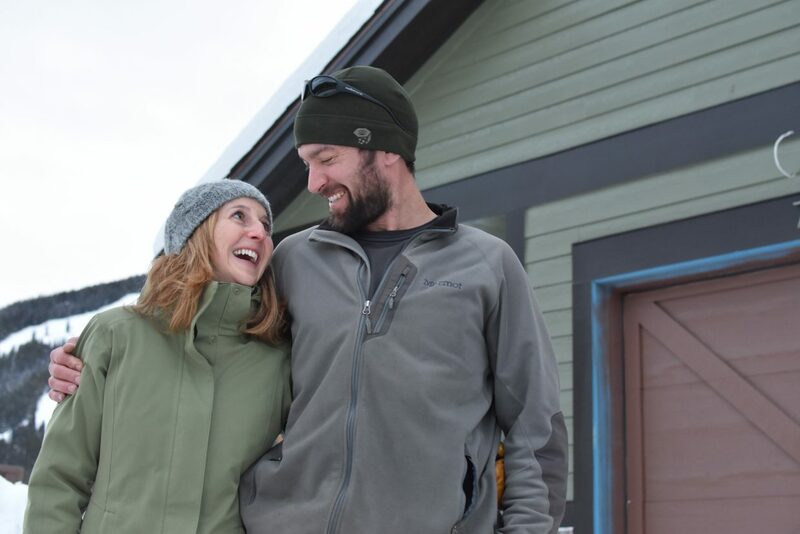 Each winter, Summit Medical Center pays for a couple of vacation rentals on VRBO and similar rental services for nightly use by employees. This helps accommodate the extra staffing needs and gives commuting employees options if there is a storm. Some employees, however, still have to get crafty. Nordstrom said co-workers sometimes choose to pack into tiny units with many roommates to keep the rent down. Firefighters live several days out of the week with a lot of roommates, but that’s part of the job. 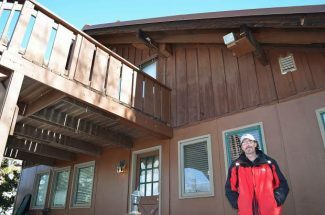 The bunkhouses they stay in for their 48-hour shifts are one reason why so many firefighters in Summit County make long commutes, many of them from the Front Range. The strain of the long drive is eased by the stations’ bunkhouses, which serve as a free, if more spartan, alternative to the Ramada Inn. Around 75 percent of Lake Dillon Fire’s firefighters live outside of the county, said public information officer Steve Lipsher. “There’s a whole gamut of reasons,” he said. 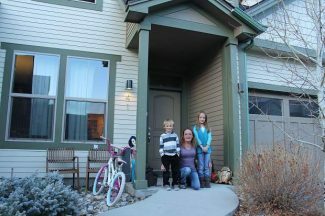 “Housing values [elsewhere] are much better and you can get more for your money in places like the Front Range. There are also more high-paying jobs for spouses, more activities and clubs for kids down there.” The lack of local housing, Lipsher said, doesn’t hurt recruitment. Chief James Keating of the Red, White and Blue Fire Protection District, agreed. His department is currently going through a hiring list of 125 qualified candidates. This reflects a national trend of stiff competition for firefighting jobs; large metro areas routinely get thousands of applicants for just a handful of open positions. However, while the housing pinch in Summit County doesn’t hurt recruitment, it can complicate retention. The starting salary for firefighters in the county is $45,000, while the state median is $50,950, according to Bureau of Labor Statistics. Chief Keating said retention varies in his department. Four years ago, RWB saw a lot of turnover, but last year he didn’t lose any people. Law enforcement, however, does not enjoy such a glut of applicants; the trend of intense competition for firefighter jobs is reversed for the country’s law enforcement agencies, which are almost all facing higher turnover and lower retention rates, according to a study by the RAND Corporation. RAND cites a slew of factors, but generally there are fewer qualified candidates at a time when departments are being asked to do more with less. The retirement of veteran, baby-boomer cops doesn’t help, either, especially since younger generations are less inclined to take their place when higher-paying options abound. Silverthorne police chief John Minor said the shortage of applicants is exacerbated in Summit County. 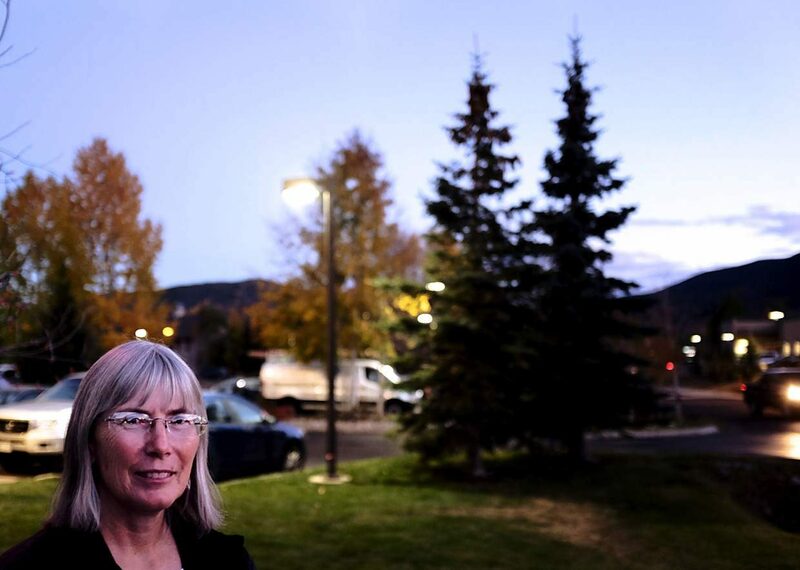 The Silverthorne Police Department currently has four vacancies, and applicants have not been forthcoming despite the department’s willingness to pay for the cost of the police academy and 16 weeks of field training. To help fill in the gaps, Minor said his department will sometimes recruit detentions deputies from the Summit County Sheriff’s Office who aren’t certified police officers and send them to the academy, which can help close the gaps quicker. The sheriff’s office has lost 35 jail and sheriff’s deputies since 2013 for a variety of reasons, including retirement, relocations to other states and career changes. Some however, are moving to different Colorado law enforcement agencies. Since 2014, ten deputies have moved to other police and sheriff’s departments, and five have done so this year, according to employment records. 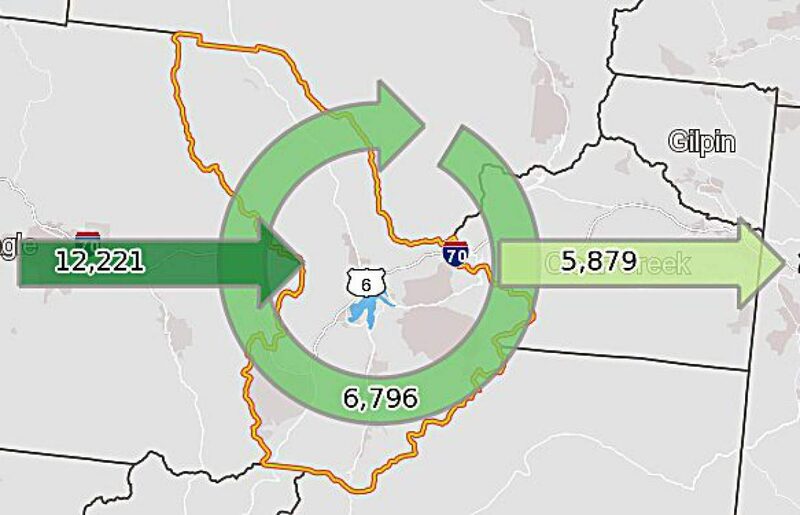 FitzSimons said that while the department negotiated a deal with Vail Resorts years ago allowing some deputies to stay in Keystone employee housing, many commuters eventually grow weary of the lifestyle. “It works while people are single, but eventually they start families and it doesn’t work anymore,” he said, citing a deputy who recently left for a Front Range police department because he had a baby. “We lose a lot of good people for good reasons,” he said. 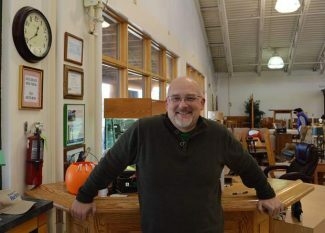 Breckenridge police chief Dennis McLaughlin, who came onto the job on April 1, said his department has had steady turnover, but in the past few months it has slowed. He currently has no vacancies. Long commutes to work are a common feature of American life and not unique to Summit County—just ask one of the many people on a Monday morning inching along I-25 toward Denver. Plenty, like Kathy Reeder, the St. Anthony’s nurse from Granby, have many reasons for commuting, like a house and deep roots in another community. 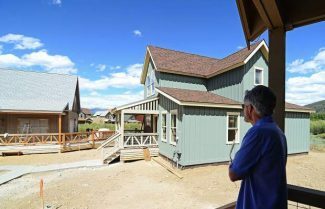 But the current housing crisis in Summit County, where average median incomes are falling and rents are rising, likely helps shift the calculation toward a longer commute and a cheaper home. Earlier this month, the county released the 2016 Housing Needs Assessment. The findings of that study are grim, but not surprising: long-term housing is becoming increasingly unattainable for the county’s workforce as rents and home prices race ahead of incomes. The report estimates the county needs 1,685 new units in the next four years to keep up with demand, but construction of new, affordable homes and rentals has been agonizingly slow. While rent isn’t the only reason why so many of Summit County’s most vital workers live elsewhere, the fact remains that many of the men and women that protect, serve and heal this community don’t actually live here. Davidson said the county currently has land it could build on: Smith Ranch in Silverthorne and Block 11 in Breckenridge, for instance. The biggest parcel is Lake Hill, between Frisco and Dillon, where the county is planning a 10-year, 436-unit development. The problem, of course, is money, and the county needs a lot of it to build on these sites. To that end, officials put ballot measure 5A on the ticket this November. 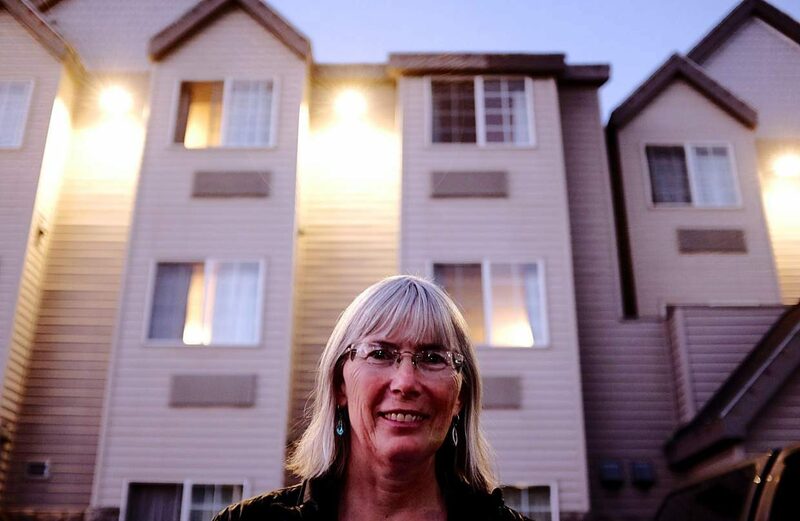 If passed, it could generate as much as $8 million a year for workforce housing building funds.